Formed by a glacier millions of years ago, this unique "kidney" shaped body of water boasts clean, mild temperature waters and a natural sandy bottom...it has been a favorite visiting spot for people and wildlife for hundreds of years. Throughout history, Walled Lake has attracted visitors from the Native Americans...to the early settlers ... through the roaring twenties all the way to the present day for the same reasons. 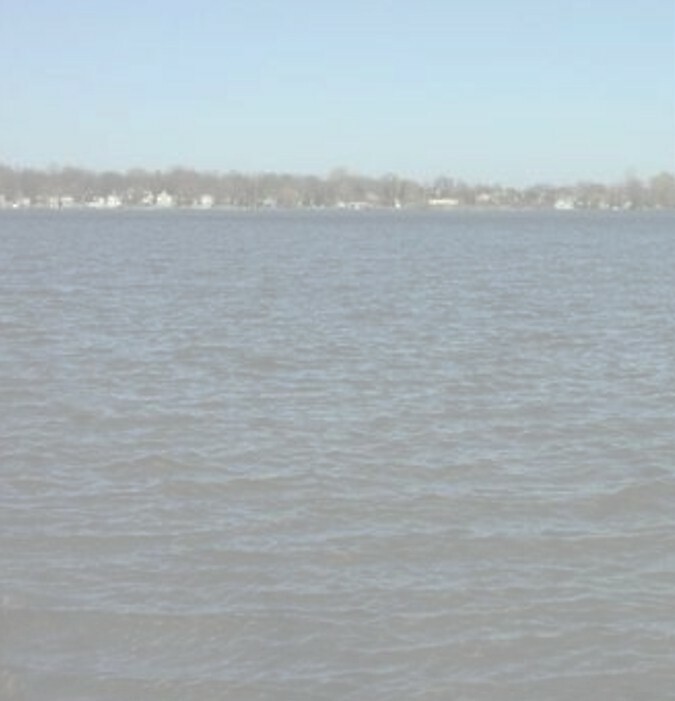 Today Walled Lake is a vibrant lake community where its residents enjoy lake living with the convenience of being close to shopping, dining, major expressways, and airports. This section is dedicated to Walled Lake... and includes interesting facts, trivia, history, and useful information. Please check back often, as many of these features will be added to or updated. 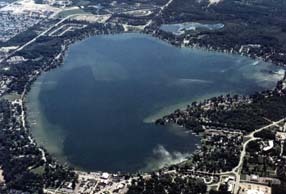 Do you have something interesting that you would like to add about Walled Lake? How did Walled Lake get it's name? That has been the question asked for decades. And there are many popular answers based on local legends and stories. The most popular explanation for the unique name is that a wall was built by the earliest inhabitants of the lake...the native Americans. Legend has it, that two tribes who lived peacefully on opposite ends of the lake nearly went to war when one tribe built the wall to trap fish. When the tribe that built the wall saw its counterparts preparing for battle, they fled. The remaining tribe tore down most of the wall. What remains of it stands to this day and is known as "rock island" by local residents. Another Indian legend tells the story of a couple who were tragically separated when the husband fell into the lake and died while spear fishing. The wife asked the tribe to build a wall to help retain fish and serve as a memorial to her dead husband. Yet another explanation of how the name was derived comes from the actual appearance of the lake itself. It is said that the waters looked "walled" due to drift deposits or the action of water and ice. This phenomenon can still be seen today during the spring thaw when ice is heaped along its shores. The most credible theory, however, states the actual existance of a long stone wall...but it was not in the area of "rock island" and there is no evidence that it was constructed by human hands. "The Wall" which gave the name to the lake around 1829....was located along the west shore. It was approximately 150' long, 4' high, and 5' thick, made up of boulders stacked in an irregular fashion. This stucture was the first thing that Walter Hewitt (Walled Lake's first settler) noticed as he pushed through the wilderness and stood on the east shore in June, 1825. It is described in detail by Henry O. Severance in his book, The Story of A Village Community. Henry O. Severance lived in the Village of Walled Lake (as it was known then) from 1876-1890 and documented the history of Walled Lake in a book published in 1930. Several pages are dedicated to describing the wall and theorizing how it was formed. The most practical explaination is that of glacial activity. As the lake itself was formed by a glacier millions of years ago, boulders were "pushed" to what became the west shore of Walled Lake. Over thousands of years of freezing and thawing, the pressure "pressed" the rocks into a flat, wall-like surface. What is still a mystery today is...Where is the wall? Why is there no evidence of it? Was it removed?...or natuarally pushed further into the bank and overgrown by soil, trees, etc. Perhaps it's behind someone's breakwall or part of the foundation of a converted cottage. Next time you cruise along the west shore...notice the high land area that runs approximately 200' or more...is this the area of where the "wall" once stood?